As I was getting ready to write blogs in preparation for Christmas and New Year’s, I got a sense God was inviting me to take two weeks off to spend quality time with my friends and family. To take a break from the hustle and bustle and just sit quietly … more time with Him, more time with family and more time to rest and refresh before 2019 begins as well as all the busyness that goes with a new year. Is there a specific goal God wants me to focus on in 2019? Does God have a special word He wants me to focus on in 2019? Does God have a special verse He wants to give to me for 2019? In December of 2012, I was reading a blog I regularly subscribe to and the author was talking about the word God had given her for 2013, as well as some of the words God had given her in past years. Before then I had never heard about asking God for a specific word He would want me to focus on for an entire year. The thought excited me and I wondered if I asked, if God would give me a word too. He did! Each and every year since then, I’ve asked God for a specific word for the following year, sometimes asking as early as August, because, I like to prepare ahead of time. How, you might ask, did I know a specific word was the one God was giving to me? 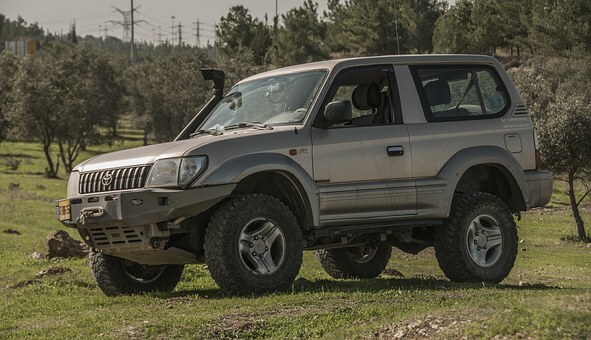 Have you ever bought a new car (or new to you) and as soon as you buy it, it’s the only kind of car you notice on the street? Our son recently bought a Jeep Patriot and I had no idea how many Jeeps were in our town until he signed on the dotted line. Some of the words He has given me have included: Moderation/Balance, Grace, Hope, Peace, Joy/Blessings, Be Still/Watch/Wait. In 2018, when I started praying for my word for 2019, God actually gave me two words: Delight and Victory. I asked God to confirm the word delight for me … and this is the first year He has used Scripture more than any other means to assure me “delight” is one of my words. Victory, my other word, has been showing up regularly in Christian blogs, Scripture, messages, and people speaking it over my life. I’m excited to see what God has in store with those two words … especially since Be Still/Watch/Wait were my words for 2018. Another very special conversation I have with God regularly is about a specific verse He wants to speak over my life and my season. For me, verses sometimes last a year, sometimes six months, sometimes several verses in one year or sometimes He will give me back a verse from a previous year: It’s similar to when He gives me the word of the year. I will see the same verse at least 2-3 times in the beginning (that’s my signal from God to pay special attention) and then He usually confirms it even further from there. Some of my favorite verses over the years have been: Exodus 14:13-14; II Corinthians 5:17; Isaiah 41:13; Isaiah 43:19 and my favorite verse from this past year: Psalm 46:10. Each one of them has spoken directly to my heart during a time when I needed the reassurance in my life that can only come from Scripture. So … as I get off Facebook and my blog for two weeks to Be Still/Watch/Wait and spend more time with our Heavenly Father and my family, I want to encourage you. Do any of these suggestions speak to your heart? Are you excited thinking that God could have a specific goal, verse or word He wants to speak directly into your life? As I love to say, the God we serve is so individual, so personal. He wants nothing more than to have a personal relationship with each one of us. He created each one of us and knows what will speak directly to our heart. My invitation to you is to get quiet with God and ask … because when we ask with a humble, expectant spirit, He will answer. If God reveals a special verse or a word for 2019 and you want to share that with me, I’d love to hear from you. Comment in the section below. I’m excited to see what God has planned for your New Year! It wasn’t that I didn’t want to honor my boss, my mentor, or the person who was in authority over me in years past; it was that I had never thought about how important it was to receive that blessing, both for myself and for the one in authority over me in the position I was leaving. Everyone who has ever worked knows it’s important to give a resignation letter and allow at least two weeks, sometimes a month of transition before fully exiting a position, depending upon the level of importance you hold with the job and the level of training needed to get another person hired and ready to take over fully. 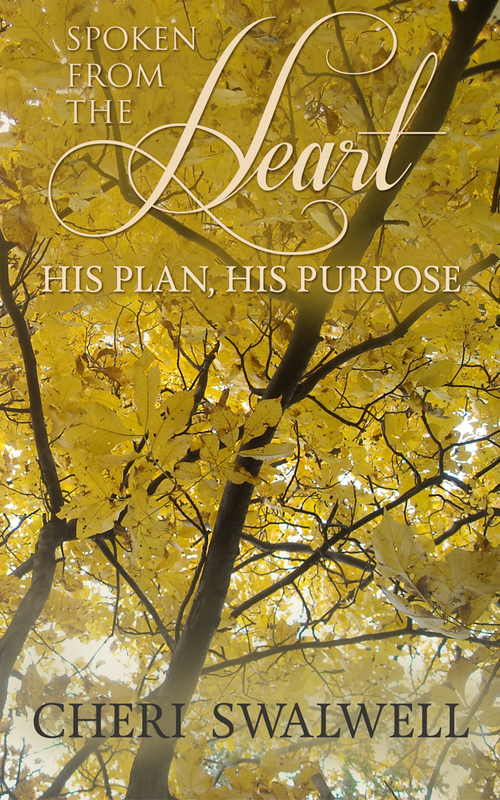 I share in Spoken from the Heart: His Plan, His Purpose about the importance of doing life God’s way. If we want to be blessed by our Father, then we need to obey His commands. He loves all of His children unconditionally and equally, which means His plans include blessings for each of us. This concept doesn’t just apply to work situations or ministry situations. It involves all areas of our lives. Whether we’re dealing with relationship issues, conflict with others, work, ministry or serving difficulties, God calls us to live in peace. Slipping out the back door leaves room to harbor anger against others which can lead to bitterness and hatred. God asks us to do life differently. He asks us to be bold and courageous, sometimes to speak the truth, sometimes to choose to remain silent but always to leave situations better than when we began. Are you dealing with a situation in your life that seems hopeless? One where you just want to escape and pretend it didn’t exist? While that appears to be the easy way out, God calls us to do better. What is one action you can do to leave blessed instead of slipping out the back door? Please reply in the comment section and let me know how God is helping you resolve the situation you’re facing so that it’s better when you leave than it was when you were in it. In my early to mid-20s, I got mixed up in a relationship which I thought was God-honoring, but ended in abuse. In order to break free from that cycle, I was given the blessing of a fresh start. The relief I felt being freed from that relationship gave me a new appreciation for life. Trees and grass again showcased multiple hues of green, fall (which is my favorite season anyway) was brighter and more colorful that year and I even reveled in the beauty of the snow-covered tree (while nestled safely at home – long before I was married with children of my own and the fear of winter driving had seeped in). Then life hit hard and as I described previously, Tigger moved out and Eyeore tried to take up residence. However, God is sad when we choose to live life as Eyeore, focused on the negative instead of with an attitude of joy. 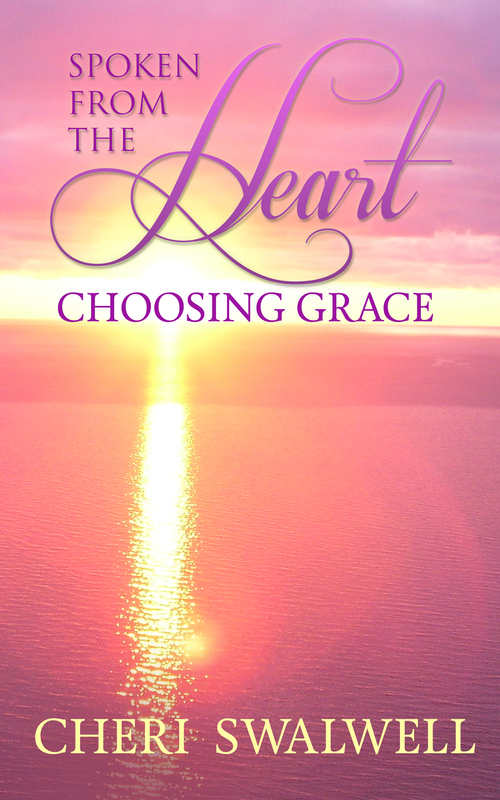 In Spoken from the Heart: Choosing a Faith-Filled Adventure, I share how God healed me of many different layers I had been existing under: fear, depression, anxiety attacks, emotional eating (still a work in progress) and holiday depression. As God has been peeling back the layers of onions, I’ve noticed a wonderful side effect. Joy has been coming back, similar to how it felt years ago when I was freed from the abusive relationship. The multiple shades of green in the trees have reappeared, the colors of fall are more vibrant and breathtaking than they have been for years, and I truly am delighted with the laughter of my family and the warm smile of my husband. In fact, in September my husband and I attended a health conference and I signed up for a free health scan. As the expert was reading the results, she was shocked to see I had no “adrenal fatigue,” a symptom she sees patients regularly suffering from in our stress-out, chaos-filled world. I had to laugh because only a few days earlier, a client I work with said to me, “You must be living the life you love” in response to a comment I had made to her. In all honestly, I’m not in my sweet spot yet because I’m still waiting patiently for God to reveal His dreams for my life, which I believe are coming soon. However, because I have chosen to trust God, surrender to His plans, and wait for His timing, joy has returned. With that joy, my ability to love has grown as well. Love as Christ loves. Love those around me – whether or not they are difficult to love or easy to love, my capacity to love has grown along with my joy and gratefulness to be alive. What about you? What stage do you find yourself in life? Are you struggling to kick Eyeore out? Have you always been a Tigger? What brings you joy and does that increase your capacity to love? Please share with me your examples. I love learning from you. However, when I think about this word recently, I start singing in my head the new song out on the Christian radio station, from a group my daughter and husband had the privilege of meeting this past fall, and I start dancing and “air” playing the instruments (not nearly as good as they do in reality) because the tune is so catchy. It seriously puts a smile on my face no matter what kind of day I’m having. Joy. It can be contagious … but to someone who is struggling with learning to trust our Heavenly Father, being thankful, or learning to live without fear, joy feels out of reach. Life is like an onion with many layers. While we may want God to fix everything at once or instantly make us happy (joyful), our Father knows it’s a process that takes time … and unless completed in the right order, will result in a temporary Band-Aid instead of a permanent change. For me, I had to give God permission to teach me how to trust Him. Then He taught me how to look for the blessings even during difficult circumstances, then I was able to live a life of thankfulness in my everyday life, even when it looked nothing like I envisioned. Next, He was able to take fear out of the equation for me and then, after working with me on several other layers I needed help with, joy started returning. As with the blessings/thankful lifestyle, it started small and gradually grew. 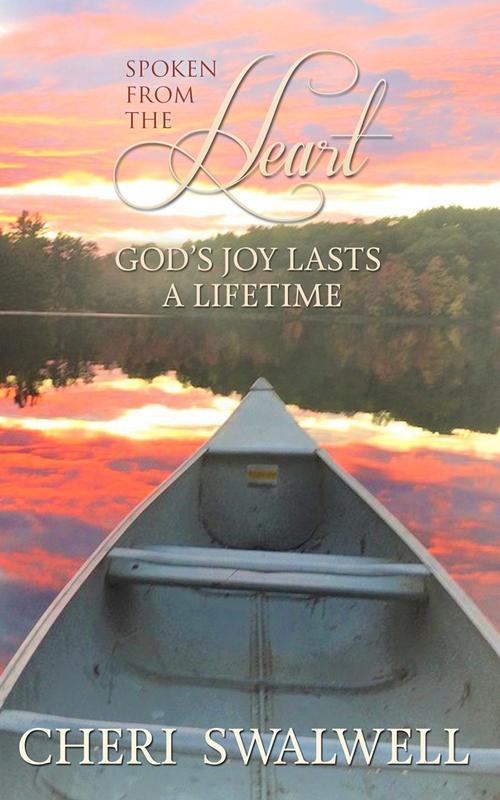 I wrote Spoken from the Heart: God’s Joy Lasts a Lifetime which helps share the journey God took me on to reclaiming to an extent the Tigger attitude, replacing the downcast Eyeore who had come to visit, seeking a permanent residence. For me, joy takes on many different forms. Sometimes it’s enjoying a cup of flavored coffee, loving the way it brings comfort through smell, warmth and taste but more importantly remembering the gift of love from whom I received it. Other times it’s much simpler: enjoying a laugh with my husband and best friend, sharing a joke with one of my children or a walk with a friend. Sometimes it overtakes me when I think about the vast love God has for me and He shows me a glimpse of the dream He’s making a reality in my life and that of my family’s. What about you, friend? Do you feel joy on a regular basis and if so, what are some things that bring you joy? If not, is that something you want to ask God to bring into your life? Are you brave enough to ask God to start peeling away the layers of your life so that you can experience His full joy too? Please reply in the comments below. I’d love to have a conversation with you. Without bragging, I’d say I have the art of multitasking down to a science. I have been a work-from-home mom for the past 15 years with a variety of jobs – sometimes more than one at a time – from owning my own daycare, to transcription work, to administrative assistant, to writing. I have had to learn how to tune things out while focusing intently on editing, proofing and also sometimes writing clear, concise ideas that don’t sound like gibberish to the tune of music blaring, dogs barking, and children crying. However, even the best of multitaskers have a point where one more noise, intrusion, or event tips the scales in the wrong direction and everything comes crashing down. This past spring I had overestimated my ability to multitask. In the span of two months, we were approaching the end of the school year and the many additional activities associated with that along with additional ministry opportunities, additional sports activities, graduation and subsequent planning and executing of a graduation party, and helping to care for an ill relative. Some of the additional output was mental, some spiritual and some physical but it all took its toll and tipped my multitasking ability completely over. I ended up crabby and far from calm, despite good intentions. This summer I chose to spend three weeks fasting and praying, seeking God’s will for my schedule for the remainder of the year. I wanted to write what He wanted written, participate in activities He invited me to, and life my life according to His dreams, not mine. The answer I received was I felt a nudge to focus more on work and my jobs in this upcoming season and less on other pre-scheduled activities – good activities, but to stick closer to home and finish strong these commitments. Because I had asked for His guidance, I chose to obey that nudge. I made myself available for various activities I thought He wanted me to do, and He slowly closed some of the doors and opened others. The activities that He kept on my agenda are small commitments – a few hours for one day here or there instead of weeks or months in length. This has made me available to help family more, be available for my kids who still need me, and take advantage of the last year our oldest will be living at home full time under our roof. Sitting here today I realize something else. The period from April through June, earlier this year, was so busy I didn’t have time to think, relax or look up and enjoy the moments that were speeding by in a blur while I rushed from one activity to another. However, as September draws to a close and I look back over the past month, we have been out of state two weekends out of four, I’ve been working on getting a book ready to be published before the end of the year, we’ve adjusted to the beginning of a new school year and had many doctor appointments in between, as well as car shopping, scheduling a tour at a university, and other out-of-the-ordinary activities. However, this time, I’ve been able to keep calm. While still busy, allowing God to adjust my schedule has made all the difference. I’ve had time to take care of myself physically, spiritually and emotionally, the ability to work during the day so every night isn’t spent playing catch up, and making time to spend with my husband and kids regularly. The ability to multitask is great. However, in order to multitask to one’s best ability, it’s better to ask God ahead of time what activities He wants you to multitask with instead of continuing to add more and more until calm has left the building and you’re left wondering what happened to your peace. Have you ever had that problem – where you overschedule to the point where all calm goes out the window? How do you get back to the place of “keeping calm” in your life? Please respond in the comments below so that I can learn from you and your life. Our family used to like to watch a TV show titled “Beyond Belief: Fact or Fiction.” My husband and I would keep track of the four to six mini stories told throughout the hour-long show and then at the end when the answers were revealed of which stories were fact and which were fiction, we would compare our guesses, seeing who was better at telling the difference between the truth and a lie. One of the reasons the show was so appealing was because it was very difficult to tell the difference between something that happened in history and something a clever writer made up to throw the audience off. Our enemy, the devil, is very similar to that TV show. He takes the Bible, the inerrant word of God (meaning it’s without error, completely true) and subtly twists a little bit here or a little bit there until he gets what he wants – human beings who are believing that his lies are fact and God’s word is fiction. I struggled with believing many lies before I asked God to teach me how to trust Him. Part of learning how to trust Him was asking for help distinguishing between His truth and the enemy’s lies. 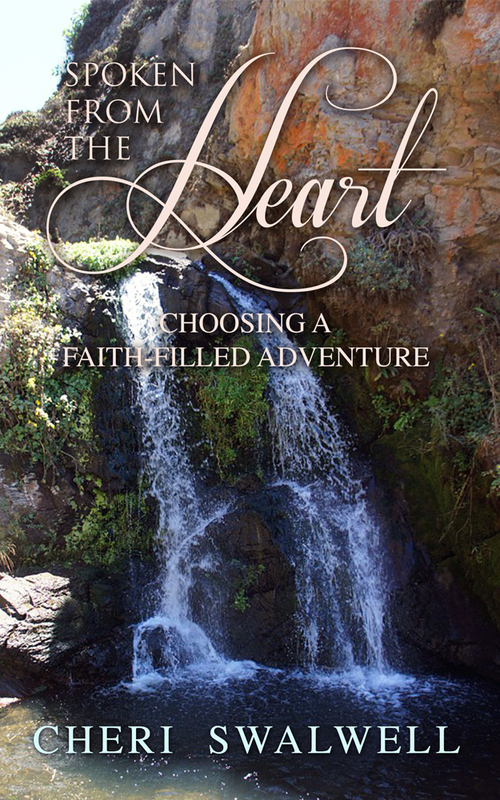 I wrote Spoken from the Heart: Choosing a Faith-filled Adventure and share in there how God counteracted the enemy’s distortions with His absolute truth. I’ve found, for me, the best way to combat the enemy’s lies is to initiate a conversation with God about a specific issue I want to overcome. Why, God, do I struggle with emotional eating? I know I need to take care of my body and when I get stressed, I run to food for comfort. Could you show me the lie I’m believing so I can overcome this issue and live in obedience to You instead? God takes our honest conversations with Him and answers them in ways we can’t possibly imagine. Sometimes He answers immediately, other times it’s a slower process, but He always answers. Is there an area of your life where you’re struggling to find the truth? Maybe it would be helpful for you to initiate a conversation of your own with our Heavenly Father – asking if there is a lie you’re believing. Then once He identifies it for you, ask Him to replace it with His truth and remind yourself of that truth until you believe it as strongly as you did the original lie in the first place. If this is something you chose to do and God has been speaking, I’d love if you would share that experience with me. I’d like to rejoice with you.